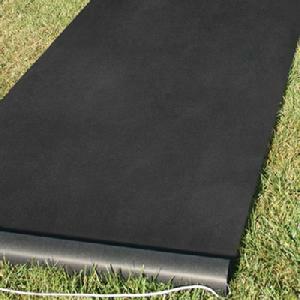 30047 - Durable rayon aisle runner in black with pull cord. Adhesive strip at top of runner secures to surface. 36" x 100'. © 2016 Elan Wedding Consultants Inc. All rights reserved.